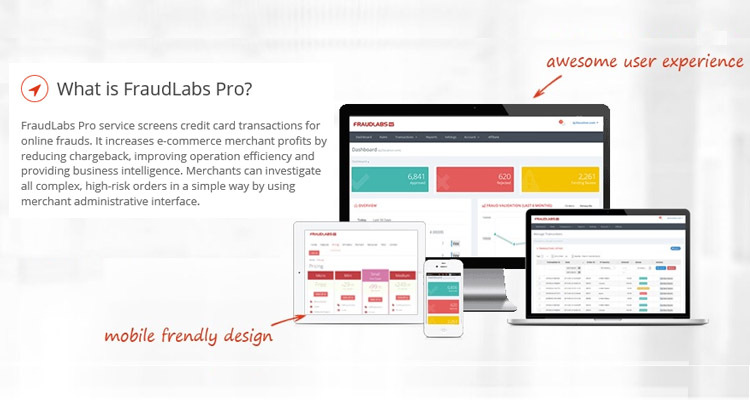 FraudLabs Pro Fraud Prevention plugin helps to screen your order transaction for online frauds. 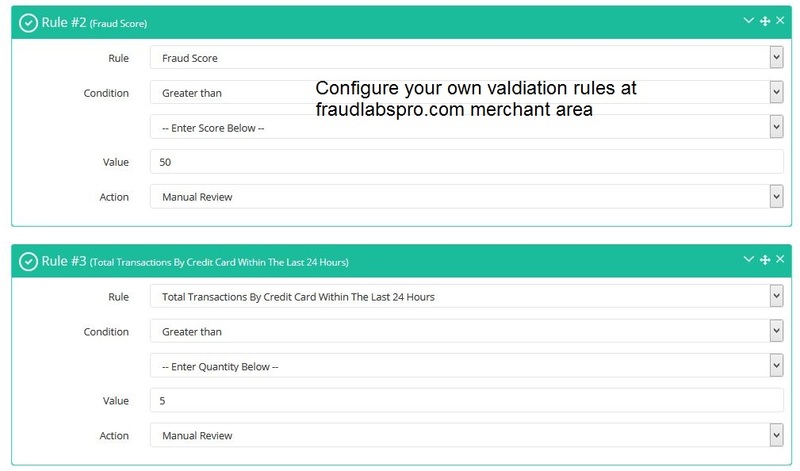 Its sophisticated and advance engines perform a comprehensive validation from all elements, such as geolocation, proxy, email, blacklisted, BIN, velocity, and many more to accurately unveil a fraud order. 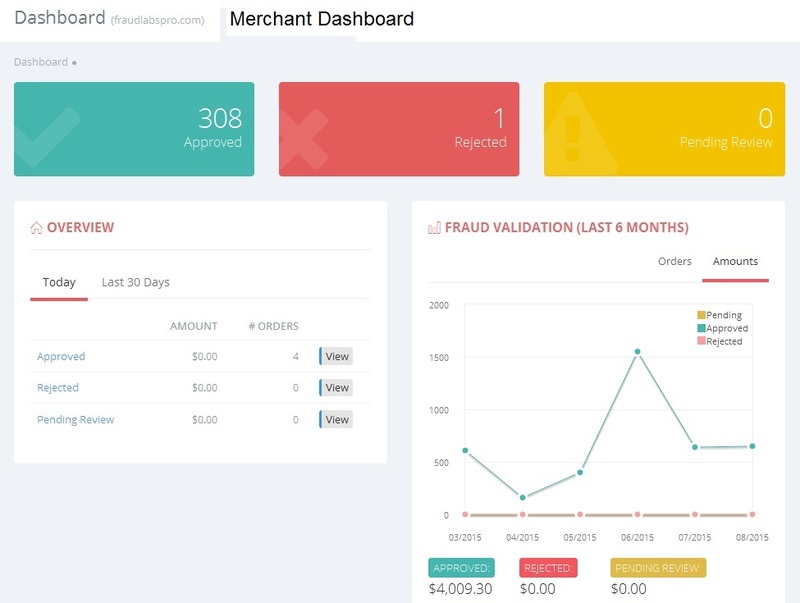 This all happen behind the scene without affecting your payment process, and it provides a great details of your order shall you need reference for review.